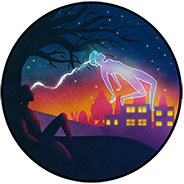 Robert Monroe defines his astral projection success as shedding his first body, and then his second, meaning he leaves his physical body, and then his ethereal body, and then lets his consciousness rest in his astral body. It seems that the terms are becoming more and more interchangeable. The truth is that the experience is subjective, and astral and etheric can blur into one.